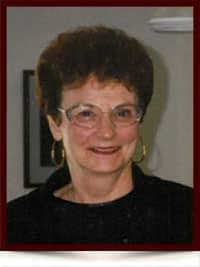 Helen Josephine Saunders (Bomersback) - Edmonton's Burial & Cremation Professionals | Trinity Funeral Home Ltd.
Helen Josephine Saunders (Bomersback) passed away on Thursday August 25, 2016. Helen will be sadly missed and lovingly remembered by: her son Blaine (Kathy), grandson Bradley, sister Wanda (Stephen) Bartal, brother in law Art (Jackie) Teasdale as well as numerous nieces and nephews. Helen was predeceased by: parents John and Stella Bomersback, daughter Sharon, sisters Hilda (Bill) Gill, Lena (Tony) Burghardt and Bernice Teasdale. In keeping with Helen’s wishes cremation has taken place and no services will be held. I am so sorry to hear of the loss of your Mom. Having just lost my Mom; I know how difficult this time is. As I am growing to know the extended family; I realize how wonderful and precious the Bomersback family is. May your memories carry you through this time. Blaine & Kathy. So sorry for your loss. Warm wishes and hugs at this difficult time. Take comfort in knowing that she is with loved family members who have passed away before her. We will cherish our fond memories of her and hold her in our hearts. She was very special, and will be deeply missed. Blaine, Kathy and family. Sharing your loss and sorrow, our prayers and thoughts are with you . Helen was a great lady and will be missed by many.